Connecting markets – delivering results. Bartlett Grain is a grain merchandising company that operates principally in the U.S. and Mexico. Our network of facilities spreads through the heartland of U.S. production giving us an in-depth knowledge of U.S crops and conditions. Our expertise in logistics and transportation and our extensive rail shuttle capacity enable us to link producers to end users efficiently and in a timely manner. We consider both producers and processors our valued Customers. Since 1907, we have been building a network of storage and handling facilities throughout the Midwest. This origination network gives Bartlett Grain the market knowledge, capacity, and logistics expertise to manage supply chain risk effectively and to meet the diverse needs of our Customers. Bartlett is a trusted supplier of all classes of wheat, feed grains, food grade corn, and soybeans. Flour millers, corn processors, feed millers, and soybean processors depend on us for timely delivery of quality grains. 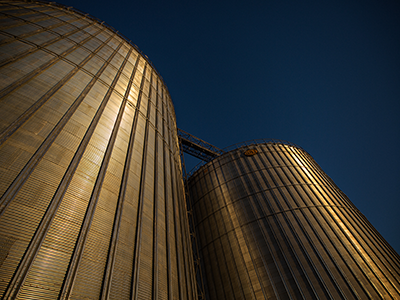 We also provide merchandising and logistics resources to ethanol plants and end users of distillers’ grains. Bartlett’s disciplined approach to risk management and hedging makes us a reliable partner in ever-changing markets. We are committed to seeking growth opportunities that can enhance our services.